You don’t have to be in California to feel the positive vibes of the serene ocean water, colorful landscape and warm sunshine. By slipping on a pair of Lucky Brand’s latest sunnies or specs—inspired by the Golden State’s scenic coastline—you can transport yourself into your own paradise. Rock the vibrant leopard-print shades to reveal your wild side; be fun and flirty in the purple aviators; or give your look a taste of elegance with the shiny and sparkly over-sized sunnies with intricate temple detailing and braiding. 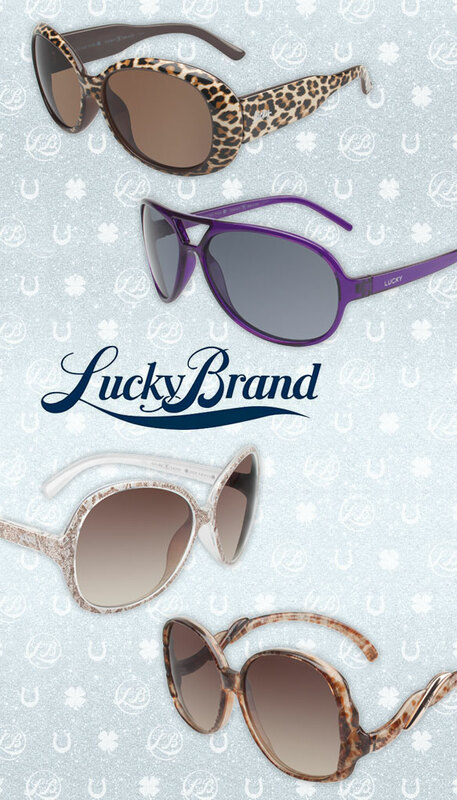 So ladies, whichever set of frames you choose to wear, you’re sure to look super feminine and exotic, all while protecting your prized peepers! Draw even more attention to your gorgeous eyes by sporting a set of these specs, which range from delicate and thin to bold and thick. These chic shapes are all about nature-inspired colorations—take a look at the orange and brown, blue and green, purple and black, and iridescent cream hues, all reflecting the outdoor elements and bringing them to your face! 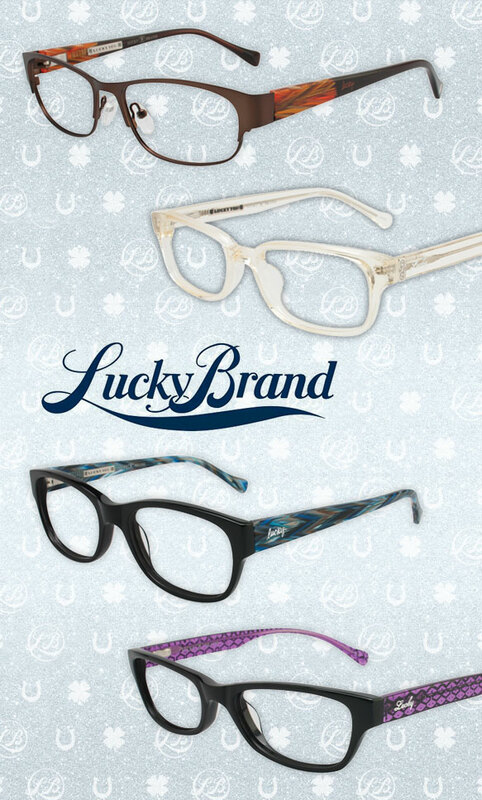 Pick up your favorite Lucky Brand eyewear at the brand’s retail stores or online at luckybrand.com.